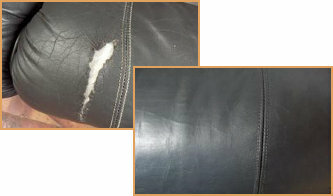 "Professionally repair all damages to all leather items"
"Branches nationwide offering a complete repair & restoration service to all items of Furniture & Upholstery"
Using the best products available with tried and tested techniques, we bring to you an effective and unique leather repair service. Second to none. 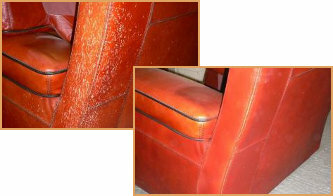 "Restore leather upholstery to a new condition or changes the colour completely"